It has been a while since we updated our blog. You know, life and children happen. However, I felt I should share our recent experiences with Mollie. Our little Mollie will be two months old on June 4th, which means it has been nearly a month since we came home from Huntsville Hospital after our two week stay. But I need to back up a little. 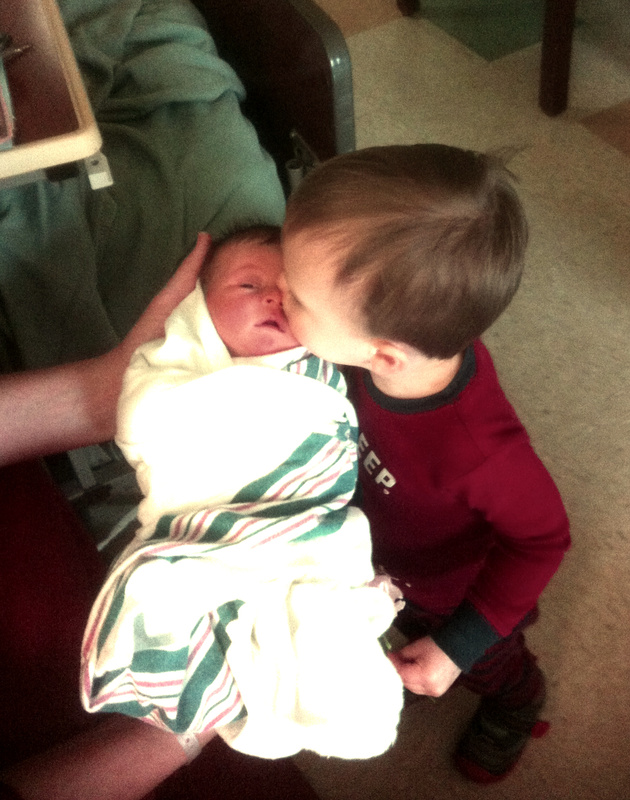 On April 4th, 2014, Mollie Katherine Cooper decided to show up 11 days earlier than expected. I was not prepared for her surprise decision. My water broke that Friday afternoon and we made the long car ride (5 blocks) to the hospital. 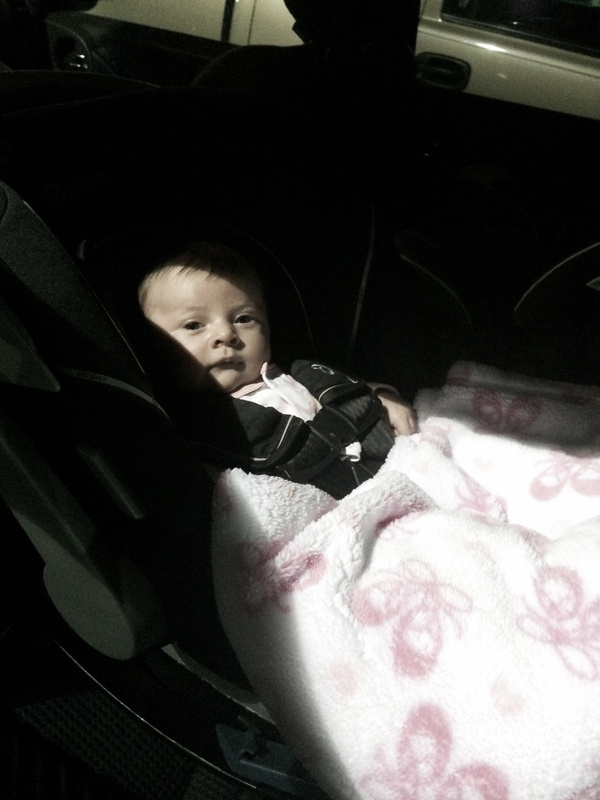 We arrived a little before 5:00 pm and she arrived a mere 2 ½ hours later, at 7:28 pm. Despite having almost 9 months of warning, this was still very little time to prepare, and as I soon found out, it also didn’t allow a lot of time for the epidural to be given. The good news was, everything went quickly and smoothly (enough), and my 7 lb 2 oz baby girl with a head full of dark hair was beautiful and healthy. In the days at the hospital after she was born, the only problem was a slight case of jaundice, which subsided shortly after we took her home. Fast forward to April 19th and my 2 week old girl was having a very fussy day. She wasn’t happy when she was eating and she wouldn’t rest unless I held her. If I moved at all while holding her, she screamed as though she were in severe pain. My initial thoughts were “she must have a bad stomach ache today.” After a couple of hours her demeanor hadn’t improved, and she would also go limp whenever I held her. She didn’t feel very warm, but just to be safe, I took her temperature. It was 100.5, not too high of a temperature but still a fever. I called our on call pediatrician who told us to go ahead and take her to the ER since her office was closed for the day. After arriving at the Helen Keller ER, we waited about an hour before we were called back (which in my opinion was way too long for an infant with a fever). She was poked, prodded & stuck. She had her blood drawn several times and was given urine tests, etc. . . During all of these tests her heartbeat was sitting steadily above 200. She screamed as loud as any 2 week old baby possibly could. This went on for hours and my heart was past the point of breaking. My helpless baby girl was in pain. She had a fever and didn’t know what was going on or why people were sticking needle after needle into her arms and legs. For a Mom, this was torture. Watching my daughter in pain, I didn’t know what was making her sick, and I couldn’t make it go away. The blood tests showed a high white blood cell count meaning there was an infection present. She would need antibiotics and a spinal tap to test for meningitis. Hearing the words “spinal tap” and “meningitis” when referring to my 15 day old daughter made me sick to my stomach. 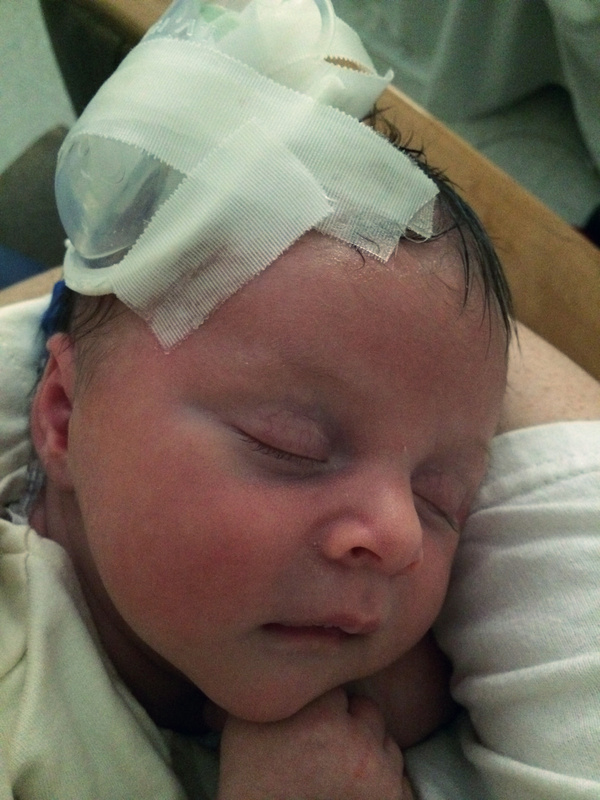 As it turned out, Keller didn’t have a small enough needle for an infant spinal tap. After calling ECM and Shoals Hospital, we were told that none of the area hospitals carried the right size needle. The decision was made to start her on IV antibiotics and send her by ambulance to Huntsville Pediatric ER for the spinal tap. At first, I was upset about the idea of having to go by ambulance to Huntsville because it sounded so much scarier. In hindsight however, I see just how God orchestrated the whole situation so she would end up exactly where she needed to be – Huntsville. After starting her IV around 11:00pm, I left with Mollie in the ambulance. Beau drove separately and met us in Huntsville because only one family member was allowed to ride with the EMT’s. Being by myself with a very sick baby in the back of an ambulance was scary and unnerving. I haven’t told a lot of people about that ride because it was such a private experience for me, but I feel I need to share what happened as a testimony to my God. God wouldn’t let me off the hook. I couldn’t stop thinking about that question, and I knew I had to answer it. That is MY little girl who is sick and hooked up to an IV. That is MY daughter that I grew in my stomach for 9 months, and went through an intense labor to have. That is MY Mollie with her dark black hair and her penetrating eyes that relies on me to protect her, keep her fed, keep her clean, keep her safe and happy, and to keep her alive. After arriving in Huntsville, I had an opportunity to calm down and think a little more clearly. Even though I was still afraid and hurting for my baby, my trust was in my God. My cousins John and Kathy Tanner – who live in Huntsville – met us at the ER at midnight just to be there for us and pray with us. What a blessing family is in a time like this! The doctors and nurses in Huntsville were immediately on top of things. They took her to a room, asked us the right questions, and began checking her over. I felt relieved after only being there a few minutes, and I instantly knew why God had sent us to Huntsville. The spinal tap went very smoothly. The doctor who performed it made me feel much better than I originally had. After waiting a while for results, we were told the spinal tap did not show infection, but we would need to wait for cultures to be sure. At 4:30 in the morning we were admitted to a room. We slept on a couch for 2 ½ hours before the doctors making morning rounds woke us up. I felt sick to my stomach. I realized just how close I might have been to losing my daughter, but I also felt an overwhelming sense of gratitude to my God who chose to spare my daughter. He chose to open my eyes just enough to feel the need to take her to the ER. He chose to have every hospital in the area be out of the right size needle for Mollie’s spinal tap, forcing the doctors to send her to Huntsville – where she needed to be. Within 24 hours she began showing drastic improvements, and despite the looming 14 days of sleeping on a couch in the same hospital room, I had no reason to complain. She is still doing great. 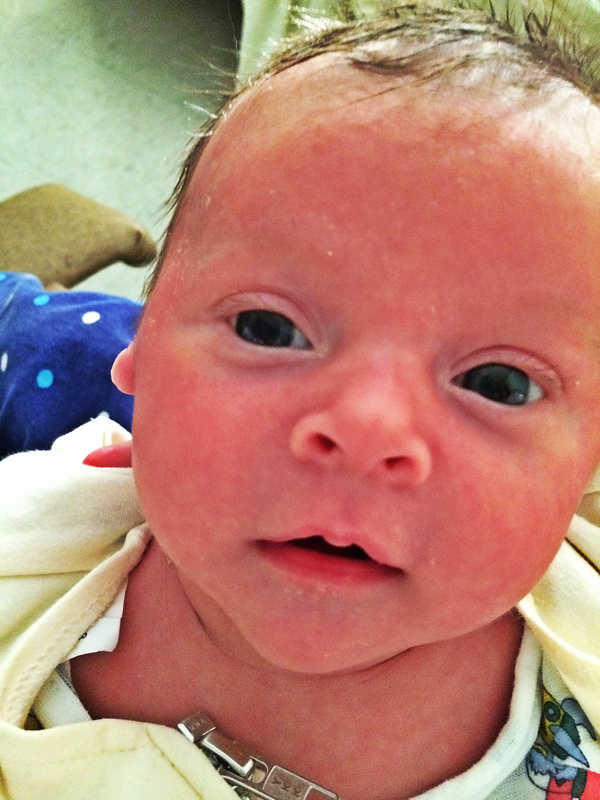 She is growing and smiling and cooing all the time. She’s a great sleeper, currently at 8 straight hours a night. She’s a Momma’s girl and likes me to hold her, and I’m perfectly fine with that because Deegan is slowly becoming a Daddy’s boy. As difficult as the whole situation was with Mollie – and still is because hospital bills aren’t cheap – I am thankful God chose to give me the opportunity to come to Him broken and helpless. 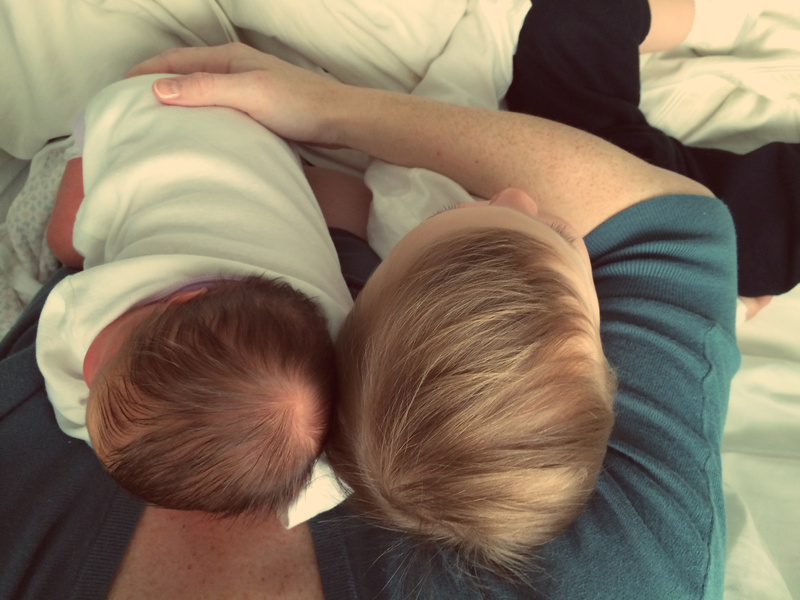 I had to be strong for my baby girl, for my son who was confused about his parents not being at home, for my husband, and for all those around me. As a mother, I don’t have the luxury of having a breaking point, but I can run to God. I can be as broken and fragile and tired as I need to be when I come to my Savior because He is all I need. He is the reason we can find hope in trial, and I will always find my strength in Him. Oh, Sarah…..this touched my heart so much! What a precious account of a Mother’s love for her child and God’s love for all of us! I am so thankful that God spared your sweet Mollie! I know He has a special plan for her life! I love y’all! Well Sarah. You are so awesome. God has truly shown thru you to brighten our lives. I love you. Thankful for you daughter’s healing. There is special care that needs to be given to women who carry gbs. Please learn more about group b strep. Educate yourself and others. Many infants in the US are dying daily from gbs and it does not have to happen. My dear friend lost her baby due to gbs and her sister-in-law also lost her baby to gbs.. He lived 8 days. Ten young women my daughter went to school with had children within a 2 year span, 8 of those young ladies, including my daughter, had babies with gbs. Many times the gbs test given during pregnancy comes back neg. There is a quick result test that should be given when a woman goes into labor. Protocol for any woman who has had a baby with gbs is to be put on antibiotics before delivery. Babies contract gbs in the birth canal. After giving natural birth to 2 babies with gbs my daughter chose to have C-section with the other two. Also, she was given iv antibiotics with all but the first and that one the hospital staff called the miracle baby because she survived. Women need to know about this thank you for sharing your story of deliverance.